CM Print & Design T/A Tech Print is a litho printing company that was formed in 1982. Situated in the heart of Durban we serve central Durban and the greater Durban areas. Managed by Sagie Moodley coming from previously disadvantaged back grounds they have seen the fruits of their labour materialised. Operating the latest machinery and equipment has seen Tech Print grow from a “one man show” to the successful company it is today. management & staff both have a combined experience of over forty years. Today Tech Print is considered to be one of the most competitive companies in Durban. As there is no longer any Printing Institutions in South Africa to develop unskilled school leavers, we have trained many black South African to become skilled machine minders. To deliver leading-edge, customised print solutions for our customers to always live up to customer expectations and give customers value for their money to always treat customers with courtesy and respect to ensure the highest standards of product and service quality in our offerings. We continuously research products and quality, thereby adding value to our services. We reward outstanding internal performance. We treat all employees with respect and integrity. We always strive to be a cut above the rest in our industry. At Tech Print we value the long term relationships we have with our customers. Customers come back to us because we deliver our record of successfully completing a wide variety of print projects in most business sectors and industries speak for itself. In addition we make it our business to have a clear understanding of each customers distinct requirements and the challenges of each sector. Estimating is a critical part of any business and our focus is on giving accurate and effective quotes for you in the shortest possible time. Using Easy Software has helped us speed up the estimating process, an offer a more efficient service. Tech Print has an in house design studio to improve the service offered to you. Our designers are on call to design your latest business cards, flyers, posters, calendars, books etc. to your requirements & specifications. By using the latest software products, our designers are able to enhance your product using creative art, design, formats, typography and fonts, pictures, colours and other design elements. 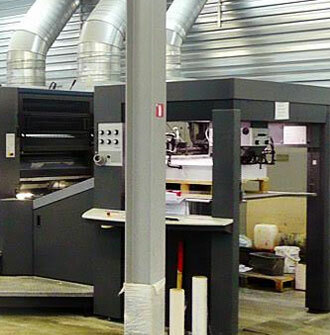 We have invested in an extensive pre press facility to offer you the customer maximum flexibility and compatibility. The latest software networking and communication solutions are available. A full graphic reproduction service is provided, from bureau to high end scanning & make up. 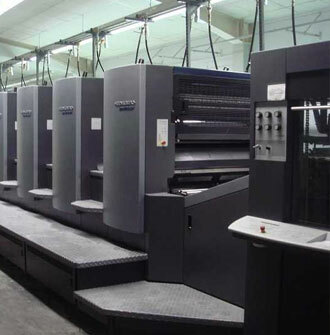 We operate a computer-to-plate (CTP) system that has markedly improved print quality. 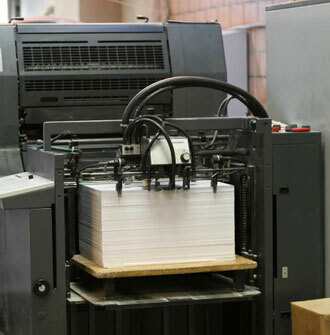 We operate a range of Heidelberg printing presses attended by a team of highly-skilled minders. Operating a 24hr press, Tech Print lives by the motto “Do it right first time round”. 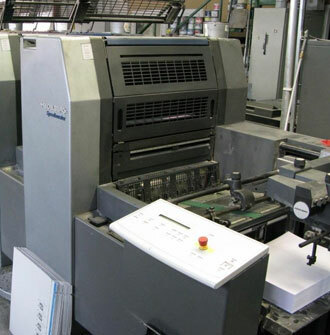 Specializing in the Litho Printing we print a variety of products ranging from brochures, magazines, flyers, posters, calendars etc…Tech Print offers a standard of printing that allows us to cater successfully to the private, commercial, industrial & government sectors. Tech Print quality is of the highest standard, with customer satisfaction being our main aim. We choose to do our finishing in-house to make sure that we control all elements of the job. 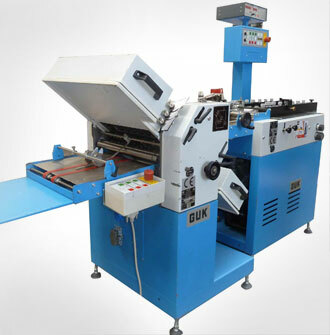 We have machinery to trim, fold, stitch, die cut, collating, drill, rim, staple and laminate in house.